To request other file formats please send an email to saabv4[at]saabv4[dot]com. 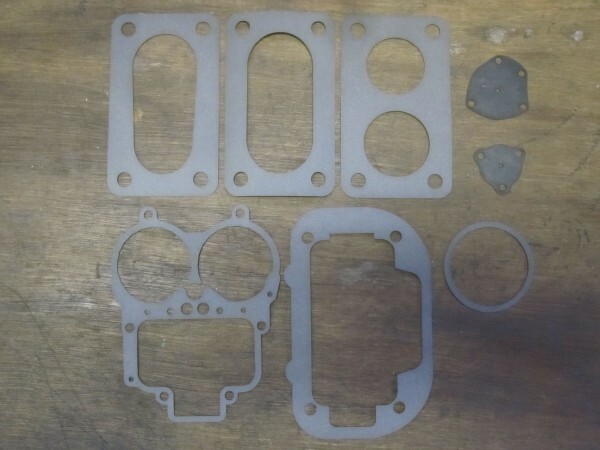 Carburettor gaskets can be cut from 0.5mm gasket paper or similar (cereal/ pizza box or manila folder and a smear of your favourite grease both sides) with a laser cutter or an oscillating knife, for the air filter gasket 1.0mm may be the thickness of choice. Check the mating surfaces on the carburettor for straightness and if needed grind them flat with valve grinding paste on a sheet of thick glass to ensure a leak free connection. For the air filter gasket 1mm material can be used. Carburettor power valve and choke membranes can be cut from 0.5mm Viton rubber sheet with a laser cutter or an oscillating knife.